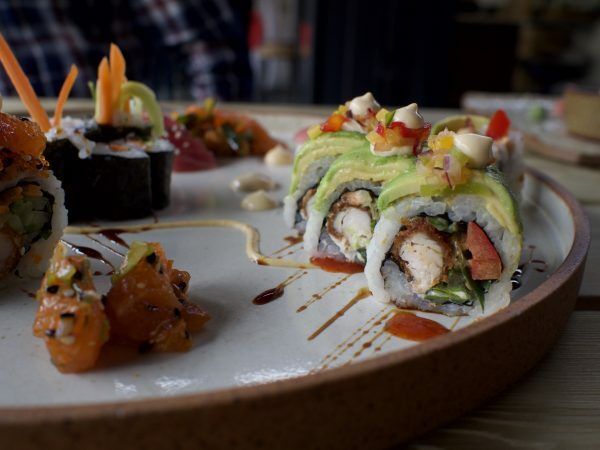 There's something exciting about sushi isn't there? 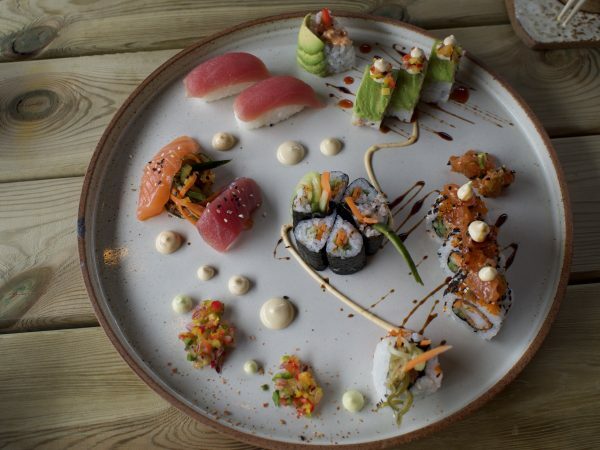 It's not just a meal, it's a fusion of art and food. 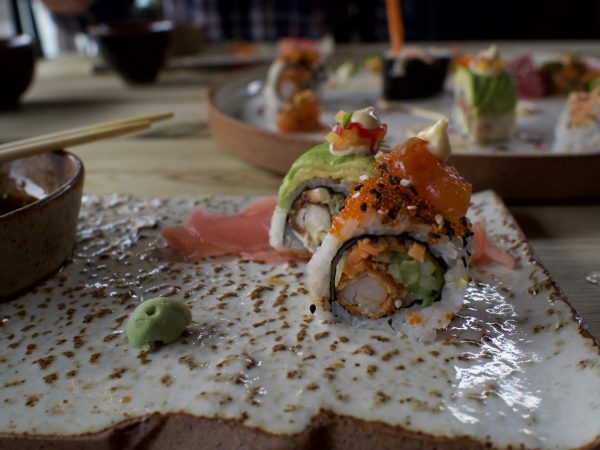 We visited Sushi Me Rollin' recently to see how strong their raw fish game was. 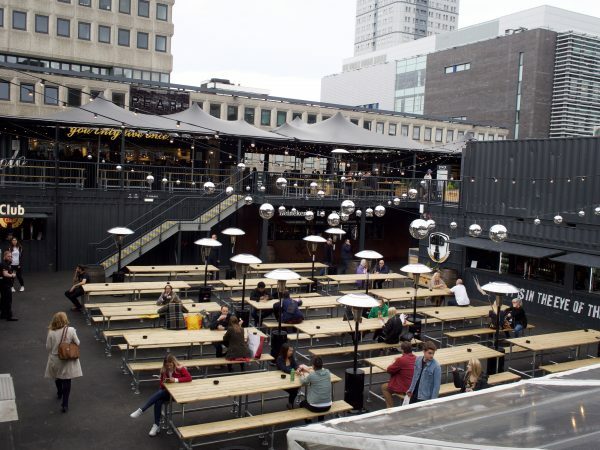 The Toon sure loves a trend and shipping container restaurants have picked up where smokehouses/burger joints/whatever it was before that left off. There are a few impressive names on the Stack roster though (including Lost & Found‘s new incarnation) and we were very excited to try Sushi Me Rollin’, mostly because of their awesome name (can’t read it without singing the song) and their pictures of delicious looking sushi on instagram. 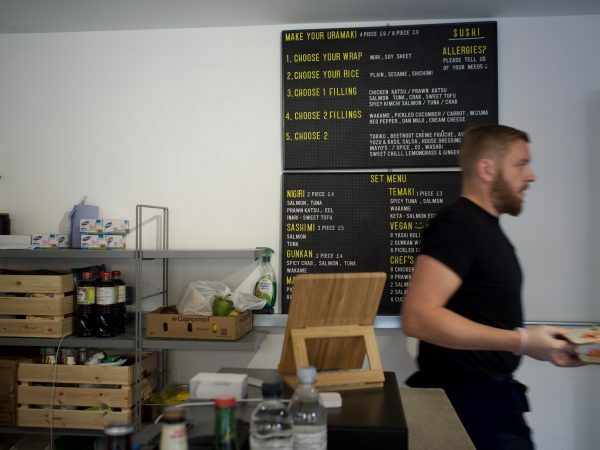 We visited on a Monday lunchtime and there was a healthy buzz about the place. 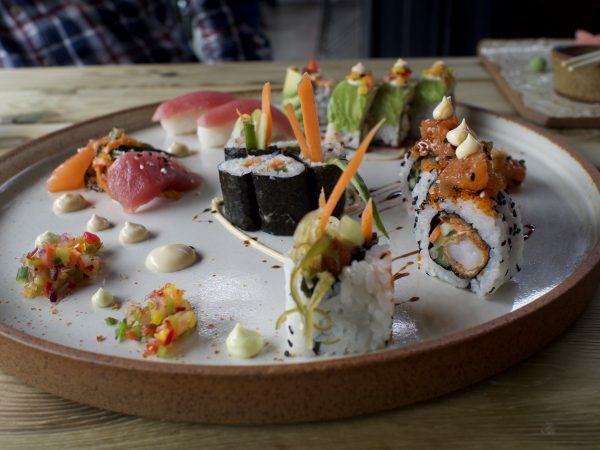 Being so central is obviously great for the weekday lunch trade, and word has been spreading about the bangin’ sushi being produced by the the former head chef of Aveika and team from Peace and Loaf in Jesmond. 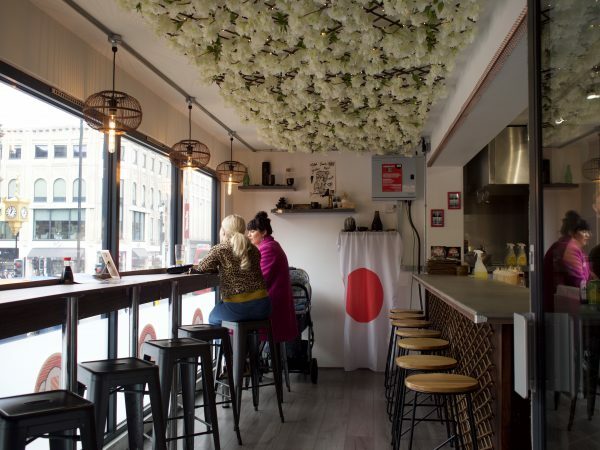 They have a ‘build your own’ uramaki menu priced at a very reasonable 4 piece for £6/8 piece for £9, as well as a set menu, and everything is made fresh to order using the best ingredients. 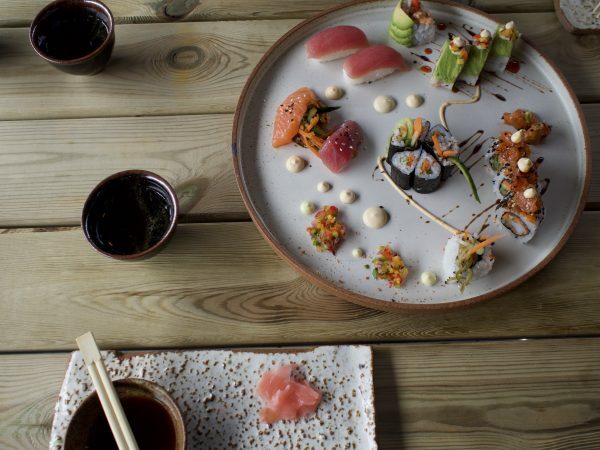 We decided to sample a bit of everything in the form of the 1/2 Chef’s Selection – 4 chicken katsu uramaki, 4 prawn katsu uramaki, 1 salmon nigiri, 1 salmon sashimi, 1 tuna nigiri, 1 tuna sashimi, 4 cucumber maki (£22). What arrived was a work of art. Exquisite, fresh and flavourful. The prawn katsu uramaki was a highlight, as was the sashimi. 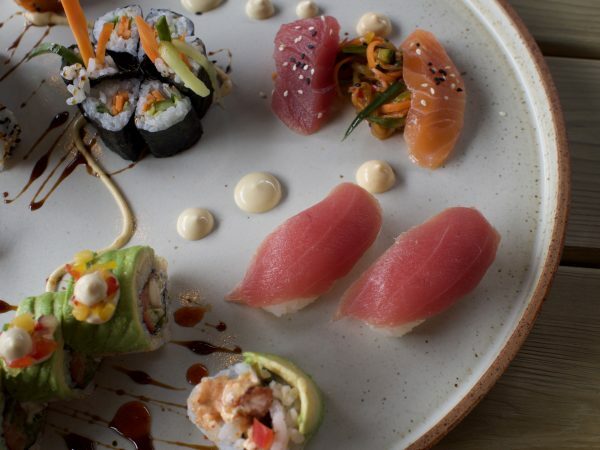 This is nothing like the usual bland sushi you get in chain restaurants. 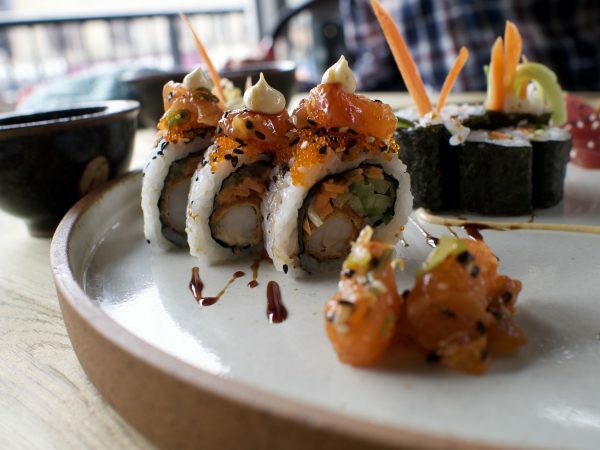 Every bite is different, fresh and interesting. The attention to detail is eye popping! 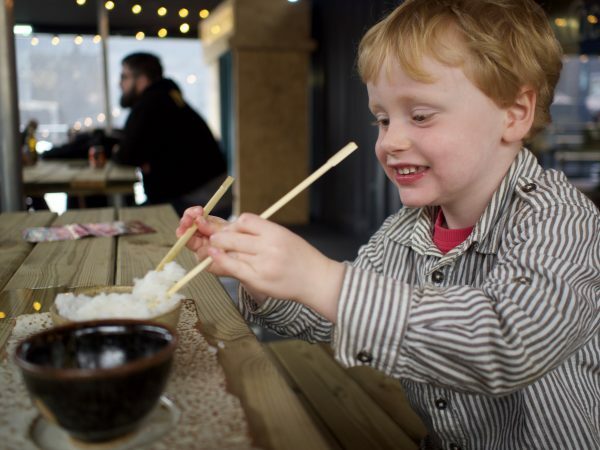 LD enjoyed trying to eat a bowl of rice with chopsticks, and a couple of pieces of sushi – but we were loathed to share as it was so good. Next time we’ll order more, it was a good light bite (and would be the perfect accompaniment to some drinks with friends! ), but the 1/2 Chefs Selection isn’t quite enough to feed two adults and a small child. The full Chef’s Selection costs £40 which seems a lot but you definitely get what you pay for. Fantastic quality, artistry and service from the team. 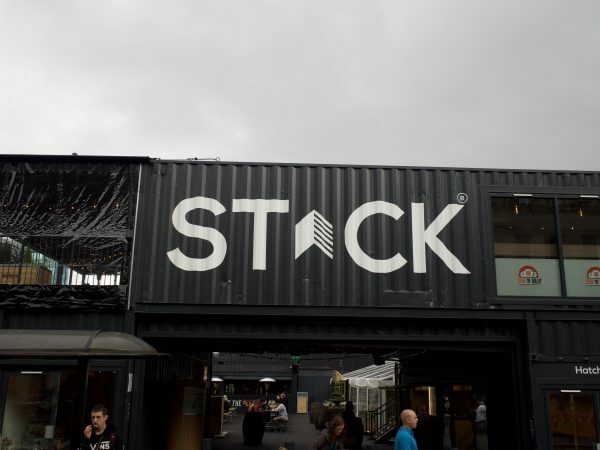 Have you been to Stack? Let me know where you recommend in the comments! 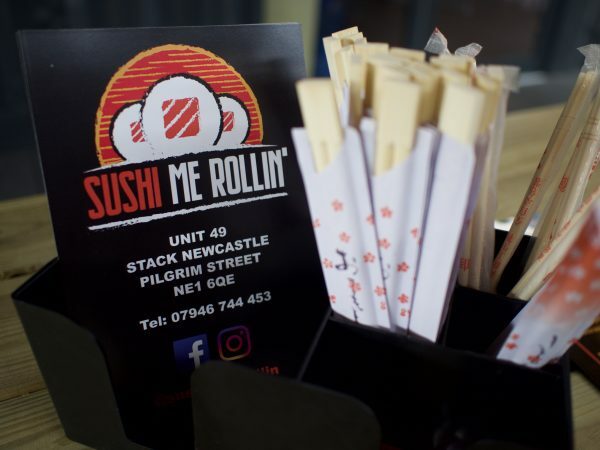 Thanks to the guys at Sushi Me Rollin’ for looking after us.